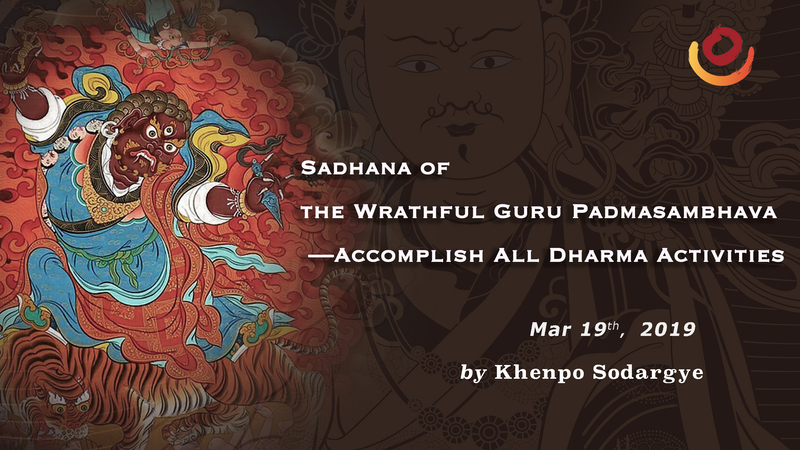 At 7:30 PM (Beijing Standard Time), Tuesday, March 19, Khenpo Sodargye Rinpoche will give a live Dharma teaching on the Sadhana of the Wrathful Guru Padmasambhava—Accomplish All Dharma Activities, a terma revealed by His Holiness Jigme Phuntsok Rinpoche at Paro Taktsang, Bhutan, in 1990. Khenpo Rinpoche will also give the oral transmission of Song of Victory, a vajra song composed by His Holiness in 1996. The teaching is given in Chinese, with simultaneous translation in English being provided.